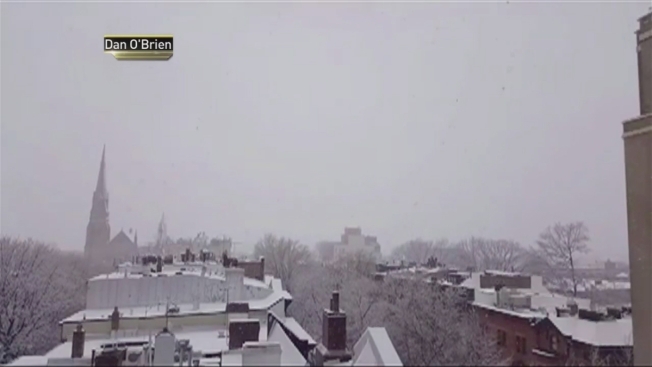 Thundersnow as captured by residents in Staten Island; Park Slope, Brooklyn; and Lumberton, New Jersey during the nor'easter Wednesday. The second nor'easter to pummel the tri-state area in the last week is bringing less ferocious winds, but a fairly rare -- and apparently very, very exciting -- weather phenomenon: thundersnow. Thundersnow, simply put, is a thunderstorm with snow instead of rain. Shallow layers of unstable air create enhanced upward motion, increasing snow growth and creating enough electric charge separation for lightning. Hail is also possible in thundersnow scenarios. 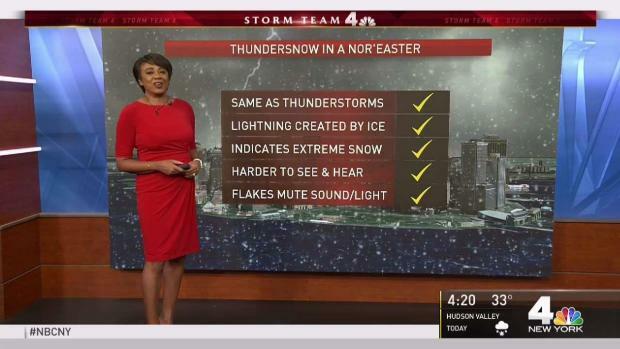 Janice Huff explains the thundersnow phenomenon. 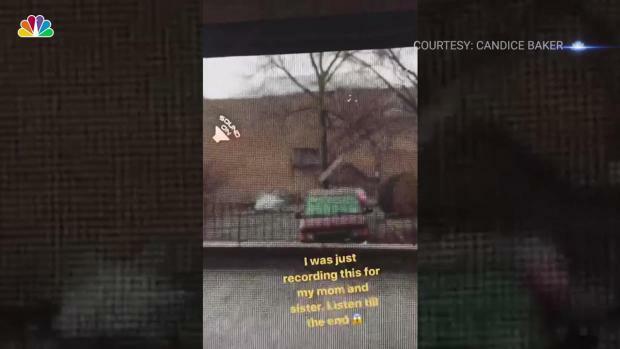 Candice Baker captured this thunder as she was watching the snow fall in Staten Island by the St. George Ferry Terminal Wednesday. Some described it as sounding like an explosion. Others said they thought it was a plow crashing. Still others reported seeing lightning as well. Did you hear it? Get it on some of the fun below. Yes. In Lower Manhattan. Everyone looked up at the sky in unison. It was surreal. Loud thunder here in downtown New York City. Heard it in staten island! Yes! This Texan who misses thunder or any kind is quite pleased! Heard loud and clear in Clinton Hill, Brooklyn. Definitely heard two bursts of it so far in the last few minutes in SoHo! Oh okay you heard it too! So not a plow. Twice within the last ten minutes or so here in Financial District. Lightning too! Just heard it twice in the lower east side. Incredible! YES! Heard it loudly in Carroll Gardens Brooklyn!